When building or deploying any IoT device either in remote locations or consumer’s homes, it is now essential for manufacturers to consider and review how their devices can be future-proofed once it leaves their warehouses – such as update mechanisms and deploying security patches quickly. This is particularly so in the consumer market where devices can be low cost with an emphasis on profitability and little consideration to how a device will fare once out in the wild. Last week we covered the launch of the new Fingbox network security device which delivers new and innovative IoT security features to homes. 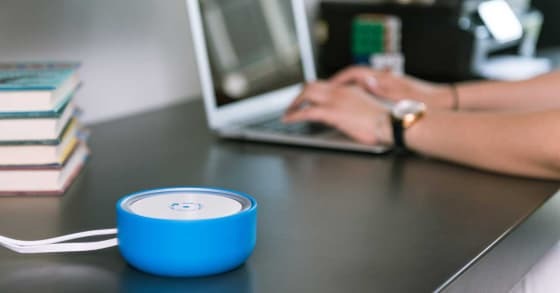 Fing, the company behind Fingbox, have built a device that recognises the need for future proofing and have catered for an IoT device being sat in consumer’s homes for years to come. These considerations extend beyond providing security over the long run, but also how new functionality could enhance the product further down the line without requiring their customer base to buy new hardware. To achieve this Fing has adopted Canonical’s brand store offering. The brand store essentially provides Fing with their own repository where they can manage the updates that they push to their customers. One example of this may be to push security patches if vulnerabilities become known. Taking into account Ubuntu Core’s automatic update feature as well it creates a seamless experience for the customer. This is particularly important for such a device as recent Canonical research found that 69% of consumers do not update their connected devices. The brand store option offers Fing the control required to select only the desired software they want to push to devices and equally ensures only authenticated devices access the store. Historically, software publishers have found it difficult to both target specific devices and also have control over what software is presented to a device. Adopting a brand store provides solutions to these issues without the need for timely and expensive custom-builds. By adopting a brand store, Fing has also given themselves the opportunity to continually enhance the Fingbox and feature set that they offer their customers. This might only be their first hardware launch, but the team behind the Fingbox have shown a maturity and level of planning few companies have. Fing’s software choices from the outset mean they can evolve the functionality offered when needed and deploy to their customer base via a snap. This could be incremental updates to existing features or whole new feature sets. From Fing’s point of view, it opens the door to create new revenue streams beyond their initial hardware sales. For any manufacturer, building a business beyond hardware needs to become an increasing priority. When asking IoT professionals, Canonical found that 78% believed future monetisation of IoT devices would come via added services delivered as software. When it comes to future-proofing, Fingbox have got their customers and themselves covered.